Welcome to A-Plan, Bournemouth, your nearest branch. 20 The Triangle, Bournemouth, BH2 5RG mile away. 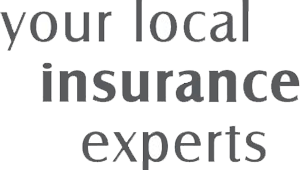 As your local insurance broker, A-Plan Bournemouth has been serving clients in your area for over 20 years. We have specialist facilities for private car, home & contents and commercial vehicle insurance. We moved from number 1 to 20 The Triangle (just below the library) over 3 years ago. Although we didn't move far the extra space has enabled us to become more than just specialists in car, van and home insurance. Fulfilling a local need, we now also specialise in commercial vehicle, liability and commercial insurance. Covering this range of products has allowed us to get to know the local community a bit better and our clients can be sure that whatever their insurance needs we are able to find the correct policy for them. Your Bournemouth Branch Manager. Get the right cover at a great price! Put our local team to the test to see how we can help you.